Better user experience, more features, prettier visualization. What's New in XMind 8? The Best XMind in history, will finally release later this month! 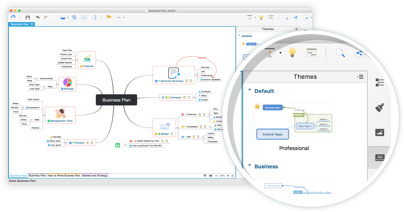 Mind mapping and presenting are harmoniously integrated in one software now! Just select the target topic and click the plus button and a new slide will be created automatically. To help express your thoughts visually, we bring up to 109 newly designed and grouped clip arts in XMind 8 to help you make a more intuitive mind map. 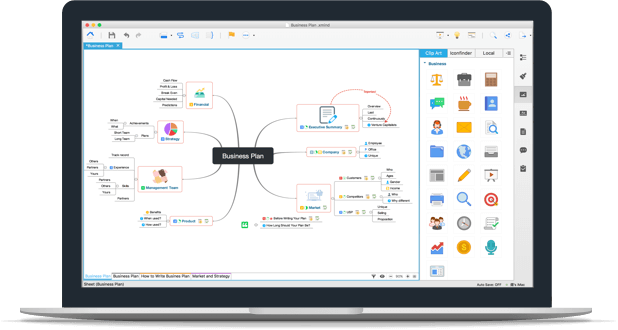 Get started with an assortment of ready-made and useful mind map templates. 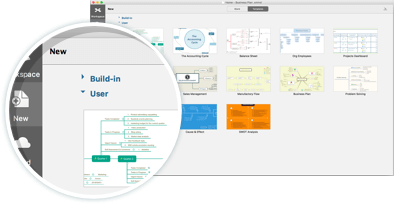 Time to use mind map templates and save tons of time now. Most importantly, all templates are FREE! 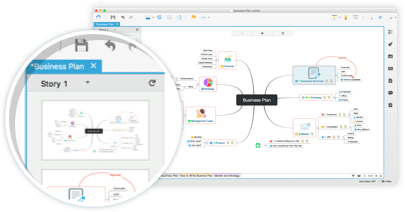 The new workspace increases your work efficiency and improves your mind mapping experience enormously. When editing, you can quickly open, close and switch views with just one click. Support adding idea groups in Brainstorming mode. Redesigned file encryption function and password hint supported. Optimize export function and add recent list. "Insert image from IconFinder" interaction optimization.